Photograph depicts a boat anchored near shore. Name on the boat is "Algoma". 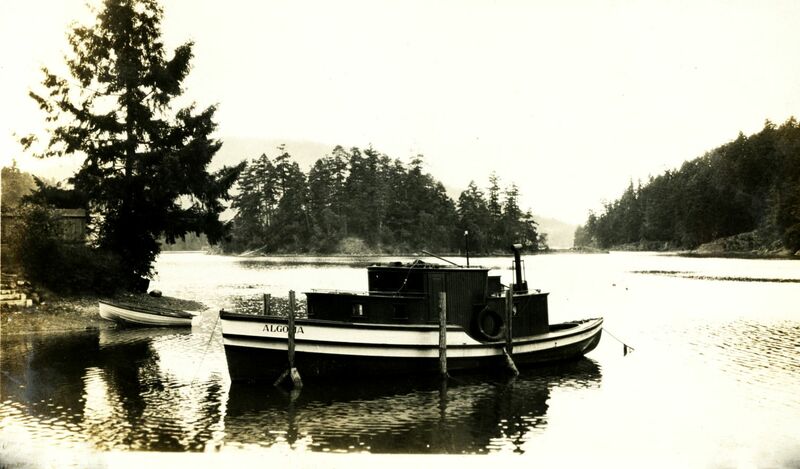 Handwritten annotation below the photograph reads, "Maple Bay 15/8/33".